Dubai, UAE, January 06, 2019: With the Dubai Shopping Festival currently underway, VK Beauty Lounge & Bar are here with some fabulous new offers and packages that will help you look and feel your best. Take advantage of a range of packages that can be used to kick-start the year and beyond, allowing you to be the very best version of yourself. Each package should be purchased in January with clients able to purchase as many as they would like. The packages can then be used throughout the whole of 2019. 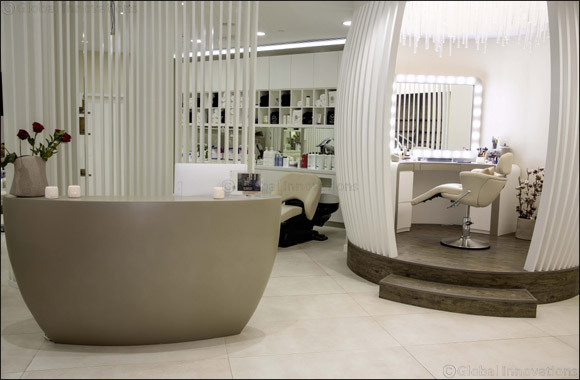 In addition, the salon are excitingly offering 50% off all services throughout the month of January. Pampering with fabulous prices - what a great start to the New Year! VK Beauty Lounge & Bar is located in Rimal Walk Plaza, R03, Jumeirah Beach Residence, Dubai. Previous Story : Facial Peels � What Are They?